This post is from 2015. For the 2017 post, go here. 1. The Fest is a fundraiser for the CYCA. Proceeds go towards the Cooper-Young Community Association, which is mostly volunteer run. The CYCA helps organize the Cooper Young 4-Miler, publishes the Lamplighter, and works to improve the residential and commercial locations in the neighborhood. 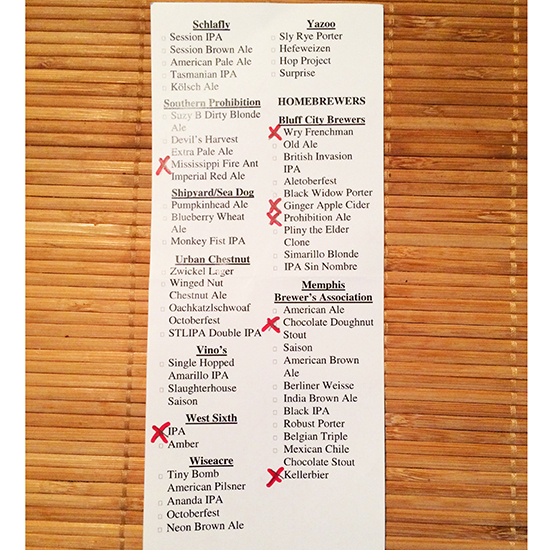 Half of my tasting card from 2013. 2. There will be a ton of regional and local beer. Last year, there were 28 different breweries represented. This is a big part of what makes the CYRBF so cool: all the breweries represented at the Fest are all from places within about a day’s drive of Memphis. No Budweiser. Sorry, Sierra Nevada doesn’t count, either. 3. Every brewery sends an ambassador. 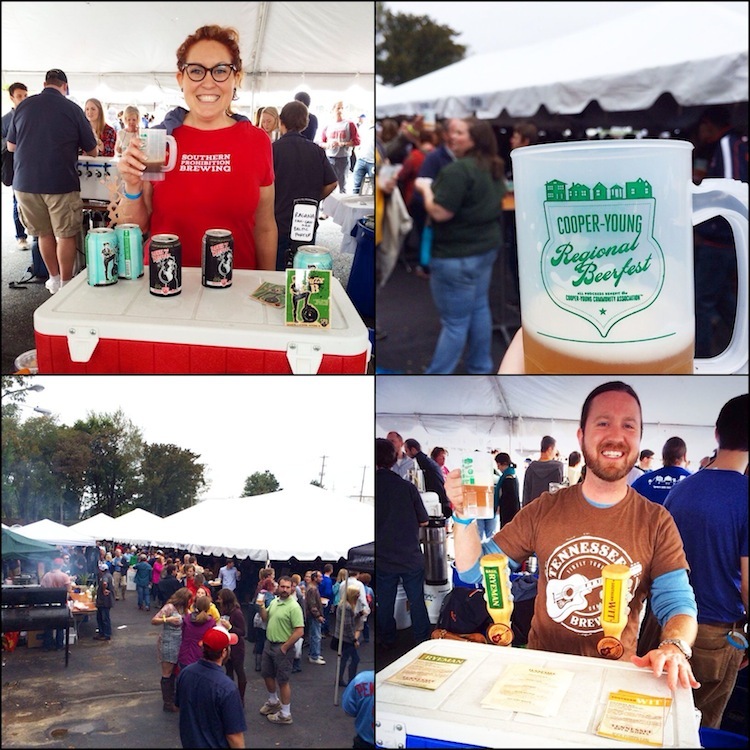 Think of the CYBF as more of an intimate gathering of beer enthusiasts and experts than a mass of pourers at booths. You’ll be able to talk to the brewery owners, the beer makers, and experts as they give you a taste. 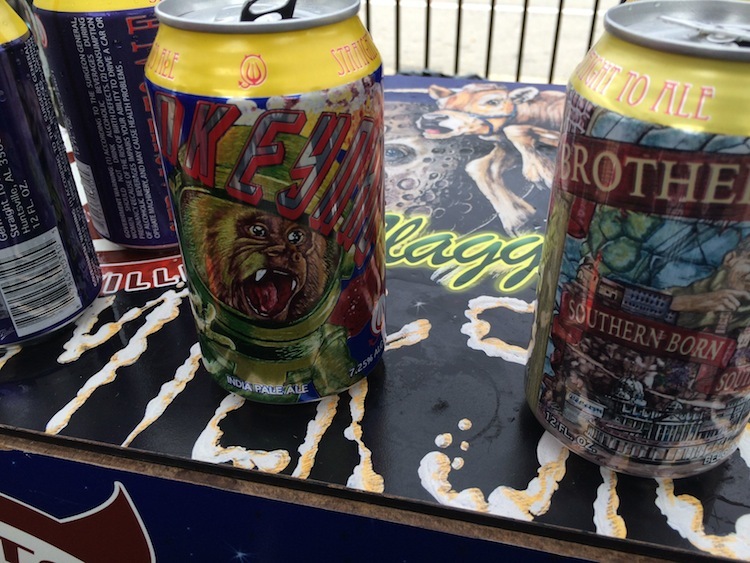 Some of them have great senses of humor, like the folks from Lore Brewing who a few years ago went with a “Breaking Beer” theme for their “Something Awful” brew. 4. Limited number of tickets means shorter lines. This is the big one that sets the CY Beer Fest apart. Many beer fests have long lines. It’s not so bad, you get a pour, and you drink it while you’re in line for the next one. On the other hand, CYBF has a limited number of tickets (it sells out every year, buy your tickets now) so the lines should be shorter with more time to mingle in between pours. Beer: yum. Barbecue: yum. Yes, there will be food for sale at the festival. 5. Anything can happen at the CY Beer Fest. Anytime you have a gathering of people who share a passion, something spontaneous and creative is bound to happen. A few years back, Chuck Skypeck of Ghost River Brewing brought out the very first bottle of Ghost River Golden and invited folks in the Beer Tent to “come down to the altar” to try it first. Another time, the folks from Vino’s Brewpub in Little Rock found a recipe for an old Tennessee Brewing Company beer and made just one keg that folks got to taste. There’s sure to be some magical beer moments this year. Tickets are $45 per person and you can buy them here. Leave the kids and dogs at home for this one, everybody needs to be 21 and up in order to get in. The Cooper-Young Regional Beer Fest is ADA accessible. There will be food available for purchase as well. Beerfest is sold out, will buy from anyone that is backing out.